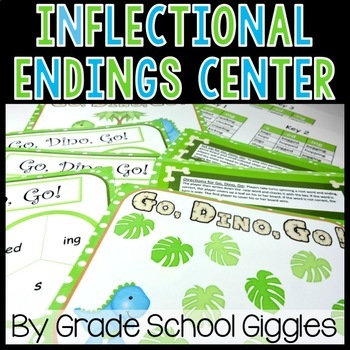 This center game helps kids practice inflectional endings (ed, ing, s) while playing with a partner. 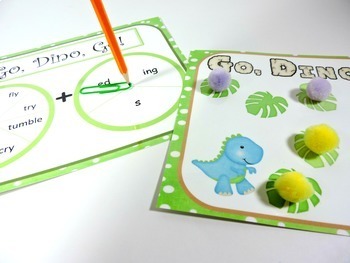 It's a fun and easy center activity. Students use a pencil and paperclip to spin a base word and an inflectional ending to combine and record. Students check their answers and get to cover a spot on the game board if their answer is correct. 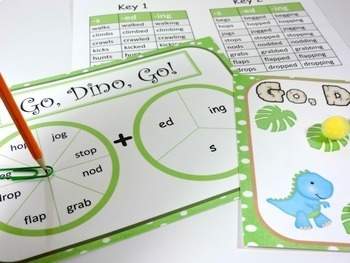 Matching worksheets can be used to have students record their work during centers or as a follow-up activity. Go, Dino, Go! 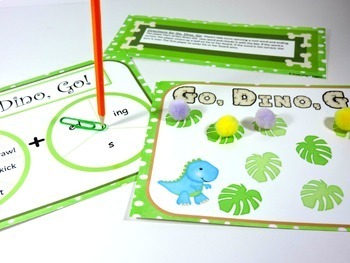 is a part of my Math and Language Arts Centers: A Dinosaur Theme Unit. If you have any questions please contact me through the questions and answers section.